The use of mobile devices is increasing rapidly as a potential tool for science teaching. 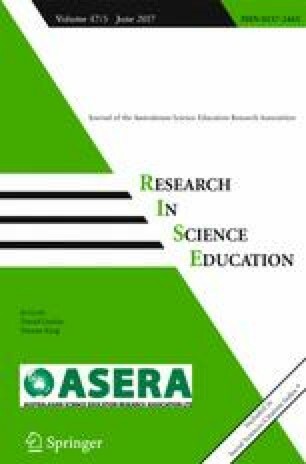 In this study, five educators (three middle school teachers and two museum educators) used a mobile application that supported the development of a driving question. Previous studies have noted that teachers make little effort to connect learning experiences between classrooms and museums, and few studies have focused on creating connections between teachers and museum educators. In this study, teachers and museum educators created an investigation together by designing a driving question in conjunction with the research group before field trips. During field trips, students collected their own data using iPods or iPads to take pictures or record videos of the exhibits. When students returned to the school, they used the museum data with their peers as they tried to answer the driving question. After completing the field trips, five educators were interviewed to investigate their experiences with designing driving questions and using mobile devices. Besides supporting students in data collection during the field trip, using mobile devices helped teachers to get the museum back to the classroom. Designing the driving question supported museum educators and teachers to plan the field trip collaboratively. We thank Dr. Tali Tal for providing valuable comments when writing the paper; and Dr. Kongju Mun, Dr. Steven McGee, Myunghwan Shin, and Jennifer Duck for their help in the coding process. This work was supported by NSF Grant DRL 1020027.